How long do you wait before redecorating your child's bedroom after they've moved out? Empty nesters are usually split into two very distinct camps. For some, it can be a very stressful time and, although not strictly a clinical disorder, Empty Nest Syndrome is recognised by health professionals as a transitional period where the parent may feel sadness, grief, a loss of purpose, or depression due to their child moving on. The other camp barely attempt to hide their elation as the champagne cork hits the back of their child's head as they open the door to leave. According to a new survey from over 50s experts and equity release specialists, SunLife, around a third of over 55s are reluctant to redecorate their children’s rooms even though they have moved out and moved on. The Home Sentiment report – a survey of 1,000 homeowners in their 50s, 60s, 70s and 80s - found that of those over 55s whose children had flown the nest, 30% said they’ll never reclaim their children’s bedrooms, even though they have moved out. Of those that do redecorate their kid’s rooms, most (46%) wait at least a year, with one in 14 waiting at least six years before doing anything new with their children’s old bedrooms. But more shocking than those who never redecorate., are the ones who redecorate while the bed is still warm! 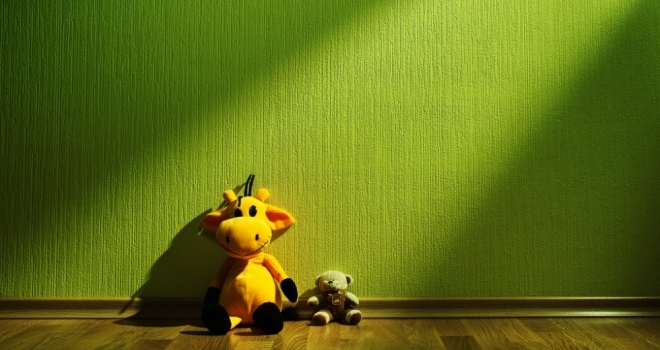 SunLife’s survey reveals that one in 50 reclaim and redecorate their kids’ room the day after they move out. The most common uses for a child’s old room once they have moved out is a guest room, with more than a third (34%) of those who have redecorated saying they have used their kids’ old room as a guest room. Overall, one in 10 use their children’s old room for grandkids and of those over 55s with grandchildren, 61% say they are most likely to dedicate their spare room to their grandchildren. Simon Stanney, equity release service director at SunLife says SunLife’s research shows that family homes hold a huge amount of happy memories. Simon comments: “Most of our respondents have been in their homes for at least two decades, and it is understandable that they want to stay there, because there’s no place like home. The research also supports the fact that, despite over 55s being a ‘property rich, cash poor’ generation - who could free up a lot of cash by downsizing - 62% say they would never downsize.